There are only 4 types of defenses in football. It doesn’t matter what you run or what you call your defense. There are a limited number of gaps down there, anyway. Listen to Episode 80 of the Football Coaching Podcast in the player below, or on iTunes, to find out the details! I rant and rave on this because of the number of misconceptions I hear about defense. If you want to read more about the count, you need my Defensive Installation Manual eBook. It’s a quick read that can help your defense get organized. Click here to get it. In Episode 80 I also mentioned my eBook, Coaching Football’s 3-3-5 Defense. 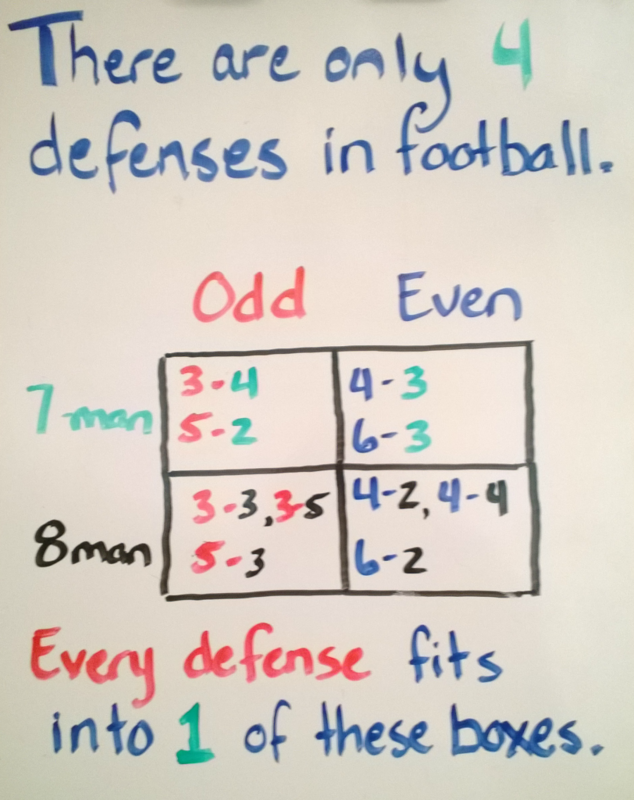 Feel free to call it Coaching Football’s 3-5-3 Defense or even Coaching Football’s 5-3 Defense to make the defense fit your own Odd 8-Man Front coaching philosophy. You can get instant access to the eBook, and my entire 33 Stack Defensive System, when you become a JDFB Insider. Click here to learn more. If you have a defense that you think doesn’t fit what I’ve talked about in the podcast, don’t be shy! I want to hear about it. Email me [email protected].